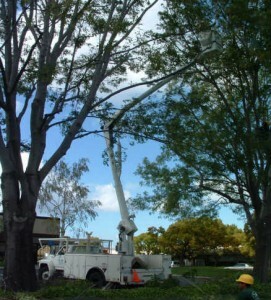 Tree Service Woodside, CA | Econo Tree Service, Inc.
Econo Tree Service provides professional tree care service to many customers in and around Woodside, California. We are partial to the fact that the community name loosely describes the appearance and dominant feature of the area – the urban forest. The community of Woodside contains large wooded areas of Douglas fir and redwood trees in one section with oak and eucalyptus trees dominating other parts. The community contains 8 distinct neighborhoods. Woodside Heights, Skywood/Skylonda, Kings Mountain/Skyline, Emerald Hills, Woodside Glens, Woodside Hills, Mountain Home Road and Family Farm/Hidden Valley are the neighborhoods. Woodside protects trees and as such has implemented a Tree Destruction Permit system that applies to removal of trees. Our Certified Arborists can assist you with the paperwork related to this program. Trees still have to be removed if they pose a threat to other nearby trees through disease or pest infestation. Trees may also have to be removed if they contain dead branches and could become a hazard to property. At Econo Tree Service we can inspect your property and identify problem trees before they become problems. Call or e-mail us today for your free estimate for this service. Pruning is a valuable tool in keeping a tree healthy and strong. In addition to removing dead and broken twigs and branches, it also enhances the appearance of a tree. The Certified Arborists at Econo Tree Service can identify the right time in a tree growth cycle for pruning or trimming. 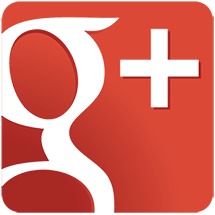 For your free estimate on this service, contact us today by phone or e-mail. Nothing ruins a backyard patio project quicker than having a stump sitting in the middle of it. We have the tool for the job that will fix your problem in an afternoon allowing you to proceed with your project. Stump grinding removes an unwanted stump quickly and reduces it to a pile of wood chips. For your free estimate on our stump grinding service, call or e-mail us today at Econo Tree Service. There are a lot of ways a healthy tree can contract a condition that can turn it into an unhealthy tree. They vary from pollution and environmental issues to poor maintenance, pests and disease. Our Certified Arborists can identify what is causing the problem with your unhealthy trees and suggest treatment options. To find out more about our tree health care service contact us at Econo Tree Service today by phone or e-mail. Econo Tree Service was established over 25 years ago by Certified Arborist Henry Kramer. We service the entire Peninsula from our home base in Redwood City which means we have customers from Millbrae to Santa Clara – including Woodside. To receive your free estimate on any of our tree care services, all you have to do is contact us. We can be reached by phone or e-mail at Econo Tree Service.